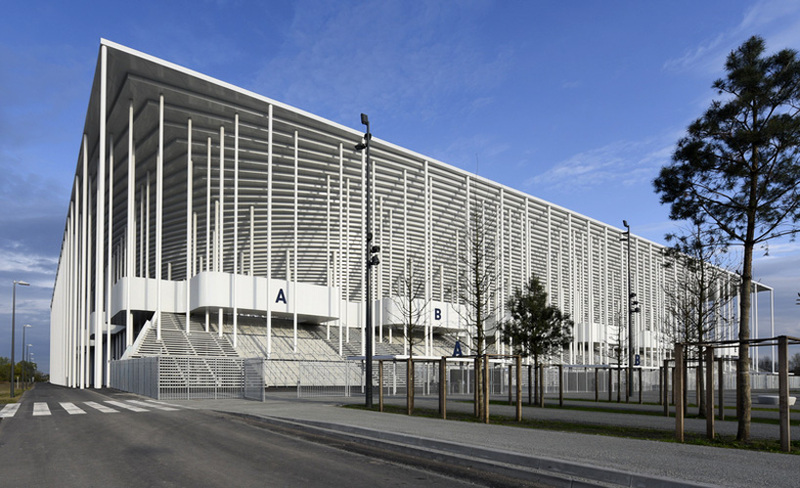 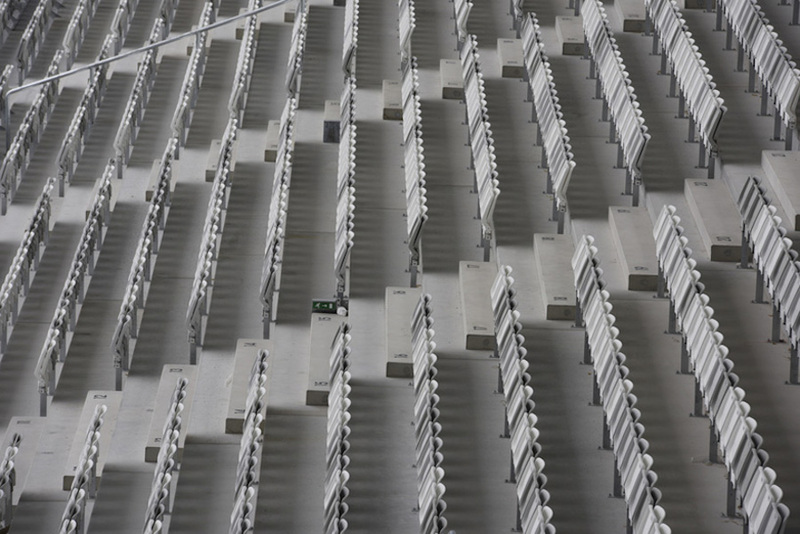 A new Bordeaux stadium by architects Herzog & de Meuron debunks the hulking typology of a sporting facility. The architect compares the “elegant” and “lightweight”-looking design to a “classic temple,” which doesn’t seem all that hyperbolic. 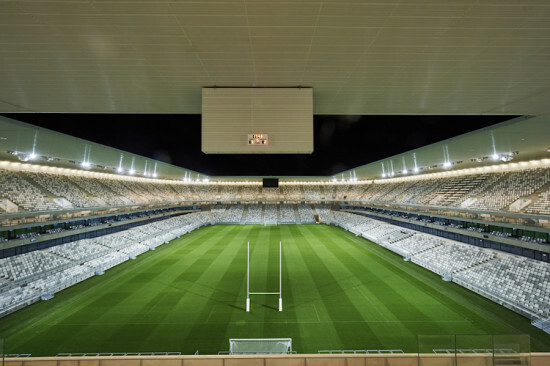 Surrounded by 900 slim columns on all four sides supporting a sharp-edged rectangular roof, the 42,000-seat stadium is composed of two superposed tiers divided into four sections. 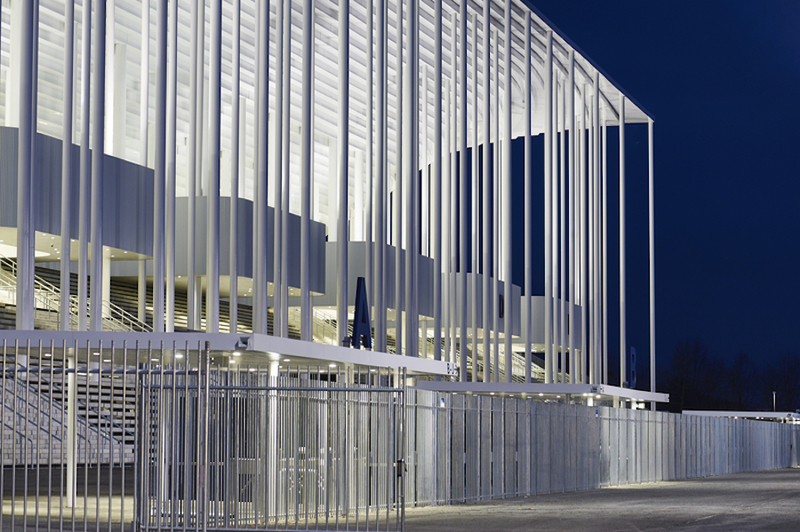 The entire seating area is shielded from rain and shine by a semi-translucent roof canopy. Photographs show unusually lavish legroom between each row of seats. The stadium structure itself is composed of three key elements: the bowl, raised above ground level, for games and spectators, the concourse as a transition between the playing field and its external surroundings, as well as the external landscape itself. 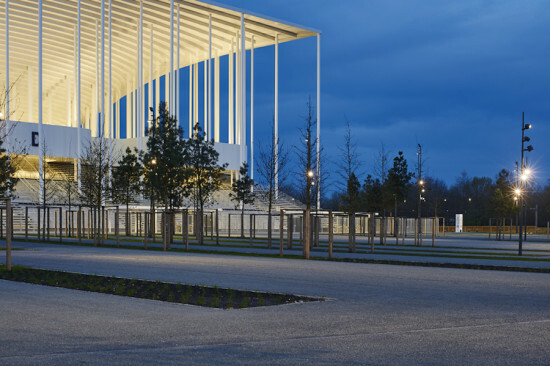 The latter fell under the ministrations of French landscape architect Michel Desvigne, who created an area for community sporting activities as well as a children’s playground. 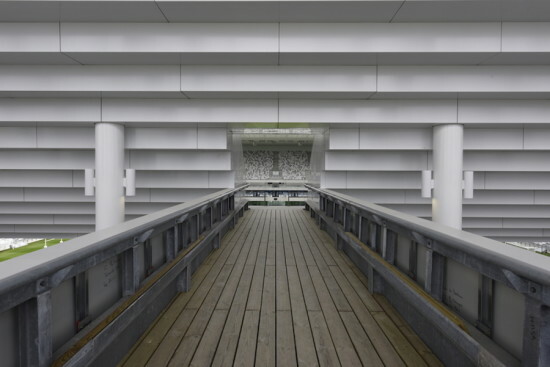 “Special attention was paid to the integration of the structure into the grand landscape,” Herzog & De Meuron said in a statement. 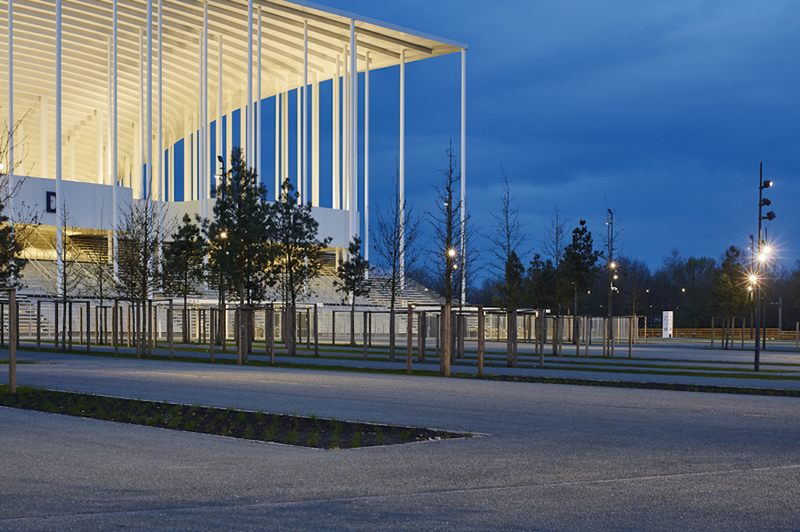 Rather than taking aesthetic cues from the historic city center of Bordeaux Lac, the firm based its designs on the willowy pine trees of the Landes Forest located south of the city. Between the matchstick forest of columns throughout the stadium weaves a “ribbon-like” structure designed to accommodate food stalls and toilet facilities around the perimeter of the building. 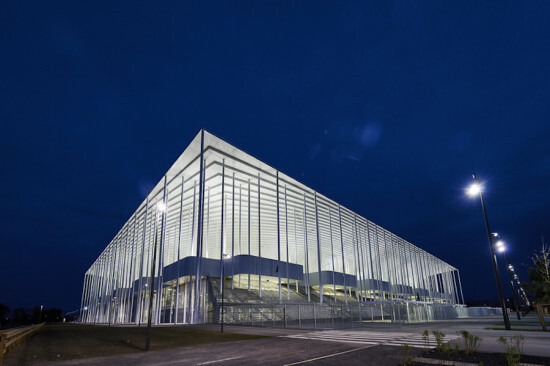 The Swiss firm won a competition in 2011 to design the facility, with work commencing in 2013. Set to be the home stadium of French football team FC Girondins de Bordeaux and host to five matches during the 2016 European Football Championships, the stadium was recently inaugurated ahead of its first football match.